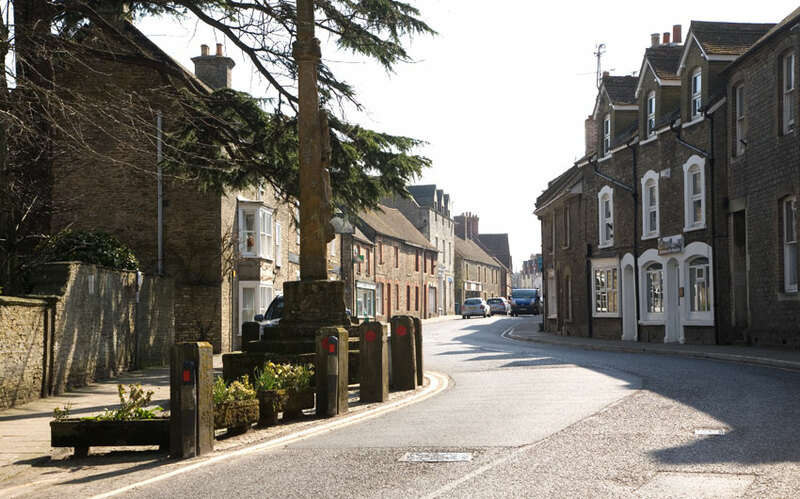 Stalbridge stands in the Blackmore Vale, close to the Somerset border, and is Dorset’s smallest town. 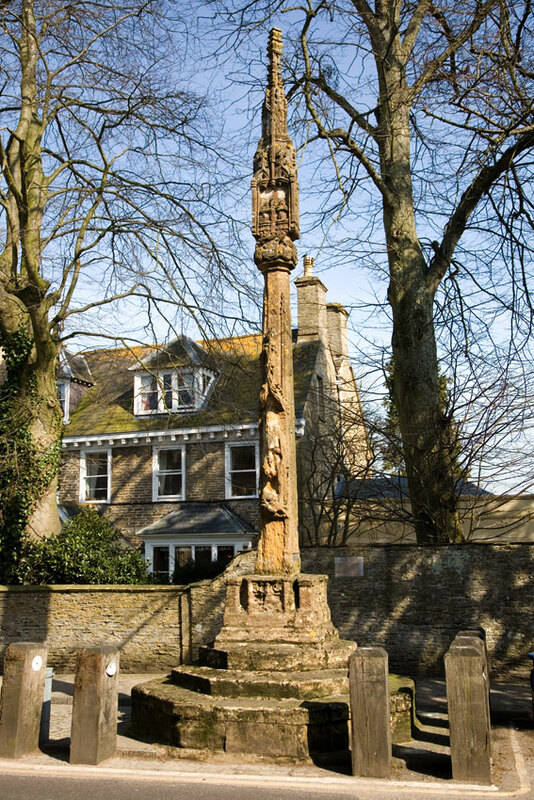 The long main street runs from the church to the 15th century market cross, which is the finest in Dorset and reputedly the best in England. 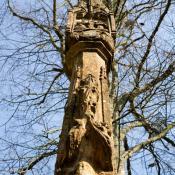 It is made from the local yellow Ham stone and stands 30 feet high with some interesting relief carving. The cross head has a carving of the crucifixion but is a modern copy of the head, replacing one that fell off in 1950. Although there was a settlement here in Roman times, the town of Stalbridge really dates from Saxon times and has held market rights since the time of Edward I. 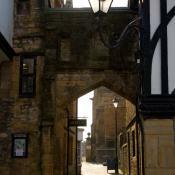 The centre of town is a Conservation Area, with many listed buildings. 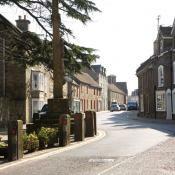 There are additional listed buildings in the nearby hamlet of Stalbridge Weston. 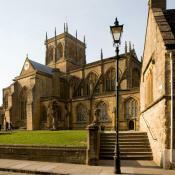 Most of these buildings are constructed of grey limestone with stone tiled roofs. They date mainly from the 17th to the 19th centuries. The large St Mary’s Church dates mostly from the 19th century. There is some original 14th and 15th century building, including the mediaeval roof with its carved angels. 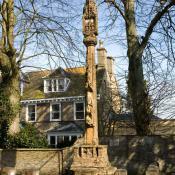 The Rectory is closer to the Market Cross and dates from the end of the 17th century. Thornhill House was originally built by the well-known artist, Sir James Thornhill, in 1730. Thornhill was best known as a painter of great house interiors and principally of the dome of St Paul’s Cathedral. 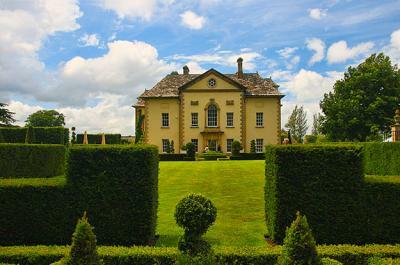 The house stands to the south of the town on the site of the Thornhill’s ancestral estate. This land was purchased back by Thornhill, following his success as an artist, and is believed to have designed the house himself. One of Thornhill’s pupils was another artist, William Hogarth, who ultimately married the daughter of his teacher. A tall obelisk stands in the grounds, erected in 1727 by Thornhill to commemorate the accession of George II. Another prominent man, the 17th century scientist Robert Boyle, also lived in Stalbridge for about six years. He was left the Manor of Stalbridge by his father. He is best remembered for his experiments into the laws of pneumatics, which he performed at Stalbridge. 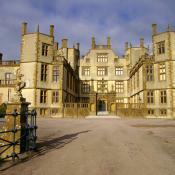 He inherited the original Jacobean house and suffered a number of unfortunate accidents whilst living there. On one occasion he was nearly drowned whilst fording a river on horseback, and another time a ceiling collapsed almost crushing him. The Manor House at Stalbridge Park no longer exists, having been demolished in 1822. The gate posts, surmounted by heraldic beasts, can still be seen. Thomas Hardy described Stalbridge Park as "Stapleford Park" in his Wessex novels. In more recent times, Stalbridge was the home of Douglas Adams, author of "The Hitchhiker’s Guide to the Galaxy". Adams wrote much of his book whilst living in the town. He used to sing in the local church choir. The railway came to Stalbridge in 1863, and the town had links with Bournemouth and Bath. However, the local line was closed in 1966. The nearest railway station is now three miles away at Templecombe, which is on the London to Plymouth line. The A357 passes through Stalbridge and there are regular buses Sherborne and Yeovil, with additional services to other towns in the area. Although Stalbridge has been developed in recent years, it still has a timeless character about it. There are various local amenities and accommodation in the area. 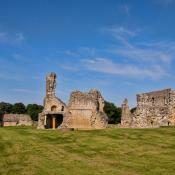 For those who like small towns, Stalbridge is an ideal and peaceful centre from which to explore the surrounding area.